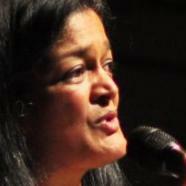 What does Jayapal mean, details, origin, short & easy attributes? Name Jayapal or (Jayapal) means King, Lord Vishnu, Lord Bramha. ... Person with name Jayapal have a fascination for professional career rather than in domestic life. Jayapal is baby boy name mainly popular in Hindu religion and its main origin is Hindi. Jayapal name meanings is King, Lord Vishnu, Lord Brahma. Jayapal is written in Hindi as जयपाल. Other similar sounding names can be Jabal, Jabala, Jabalah, Jaipal, Jaypal, Jibla. Each letter meanings in Jayapal Name. Popular personalities with Jayapal Name. Pramila was born on September 21st, 1965 in Chennai.